Guest homes, or laneway houses as they are called in Canada, have a myriad of uses. Some build them to house family members such as adult children or elderly parents. Others use them as rental homes for extra income. 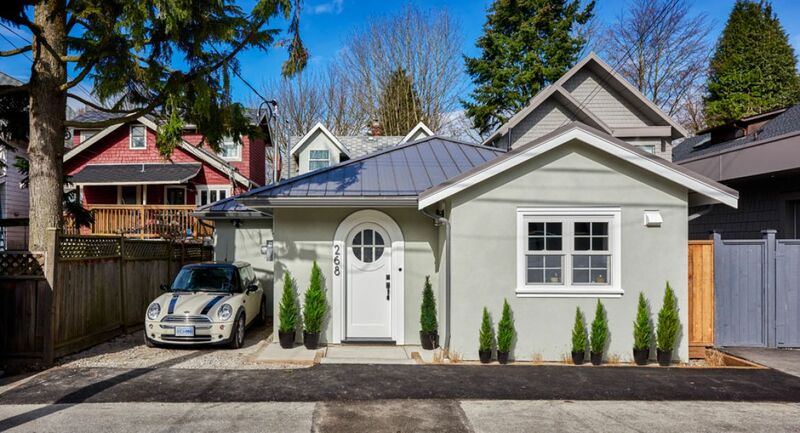 After touring this cute and bright laneway house, you'll be dreaming of building your own backyard cottage! 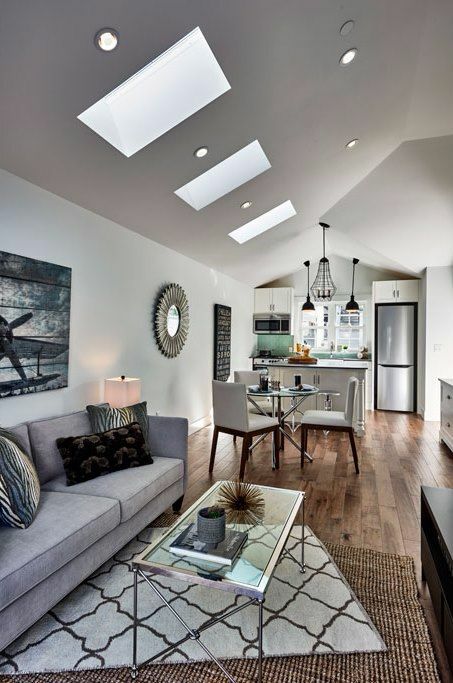 Laneway houses have grown in popularity in Vancouver ever since The Laneway Housing Initiative was launched in 2009. The goal was to increase density to single-family neighborhoods, while still retaining their character. 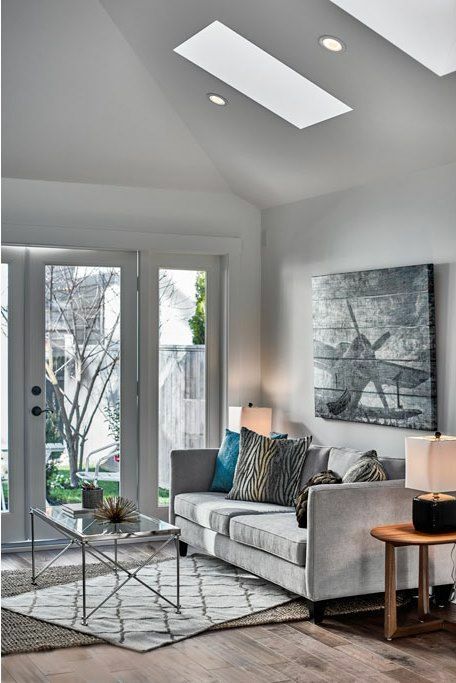 Smallworks is a small homes builder that built this quintessential laneway house with a design philosophy that focuses on privacy, sustainability, and natural light. 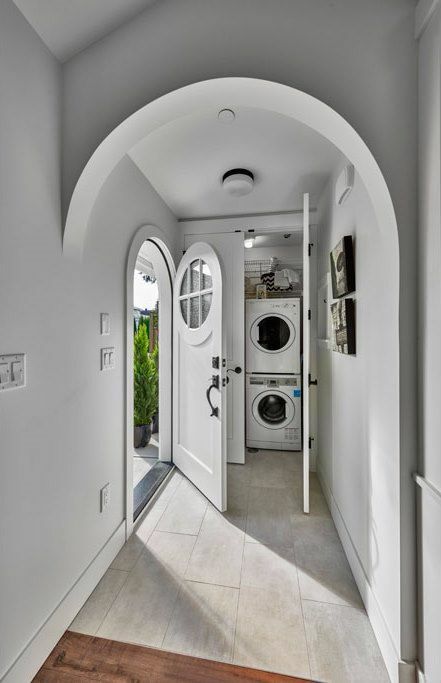 The round top entry door adds charm to the design of the house, and mimics the archway in the entry hall. An efficient laundry closet is tucked away behind double doors. 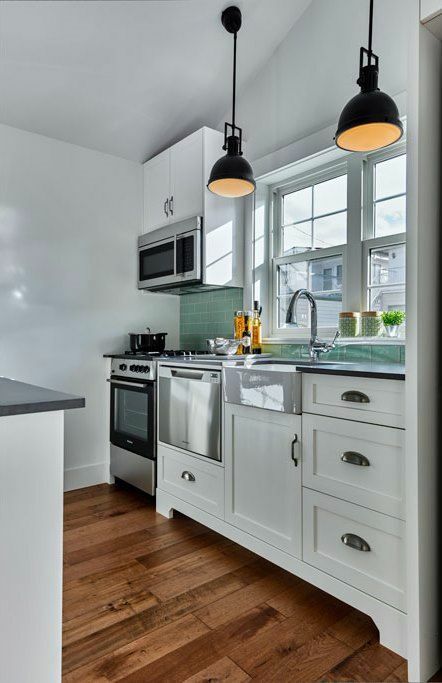 The kitchen features classic white cabinets, stainless steel appliances, and industrial pendant lighting. 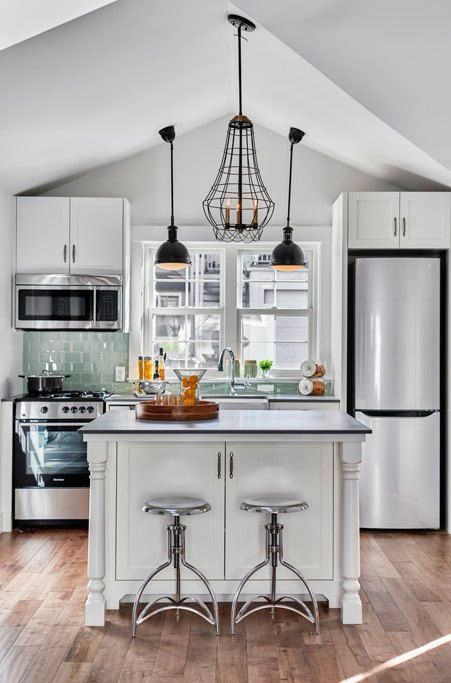 The choice of the dramatic cage fixture over the island adds a little whimsy to an otherwise modern kitchen. Aqua glass subway tile make up the kitchen back splash, bringing in great color and shine to the space. Even with a small footprint the kitchen is fully functional with a microwave, oven, and even a dishwasher. With careful design, you don't have to sacrifice convenience. The light and classic furnishings allow the space to feel airy and bright. Just because a room is small doesn't mean the artwork needs to be small - a big piece of art like this one makes a great impact. The bedroom walls are painted an unexpected blush pink. 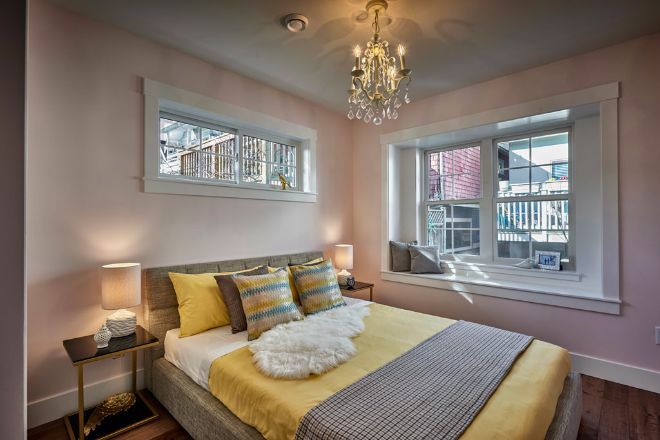 If you're hoping to create the same look, choose a soft grayish pink to avoid the room looking like a baby's nursery. Gold furnishings and a crystal chandelier add even more romance to the room. The bathroom is simple yet functional. 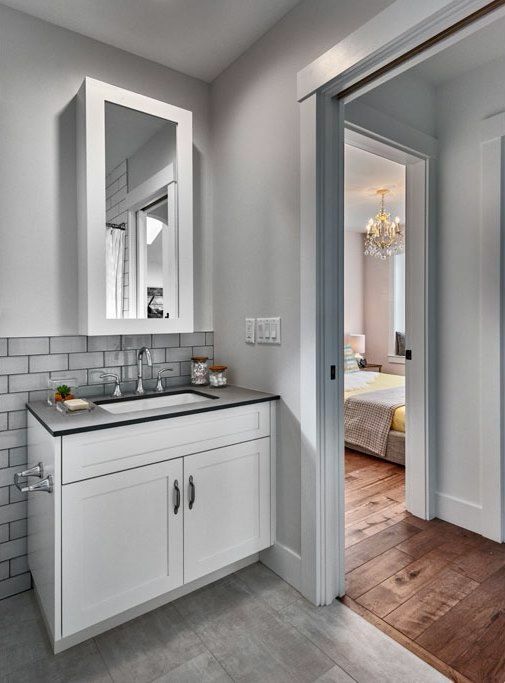 The vanity cabinet and counter top match the kitchen to keep the home cohesive. 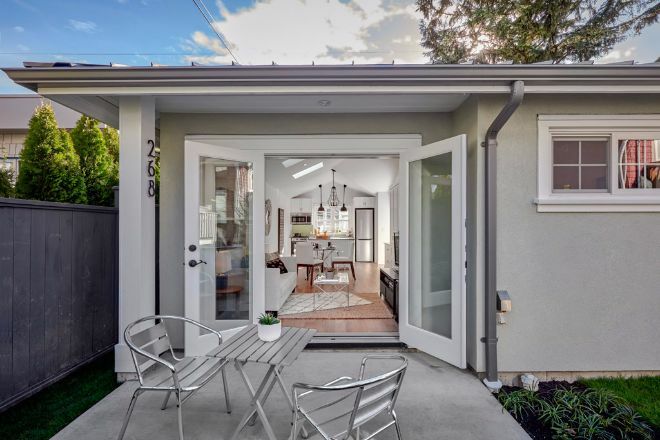 The home features french doors that open up to a cute patio space. Can't you imagine pulling up a chair and enjoying a morning cup of coffee? Resources Smallworks Studios/Laneway Housing Inc.